PARKINSON PLACE is proud to offer an array of programs that have been proven to improve the motor and non-motor symptoms of Parkinson’s disease. Our extraordinary instructors are certified experts in their field adapting every class to assure that participants benefit on every level. They demonstrate sincere love and support for Parkinson patients and caregivers making every class fun, interactive and rewarding. Meditation, breathing and ability based poses that unite body, mind and spirit for a sense of mental and spiritual well-being. Lynn is the founder and director of Sarasota’s most established studio, Yoga from the Heart. She is registered with Yoga Alliance at the highest possible levels as an RYT (Registered Yoga Teacher) 500 and E-RYT 500 instructor. Lynn has trained, graduated and certified dozens of local instructors. She is known for her inspiration in relating the philosophy of yoga, revealing to her students how yoga can infuse everyday life with meaning and purpose. Her charisma and witty sense of humor lend a wonderfully modern twist to this age-old practice. Lynn has adapted her Gentle Yoga class to assure that everyone can participate no matter what their age or condition. Expressive movement exercises to live drum beat that can be performed standing or sitting in a chair. 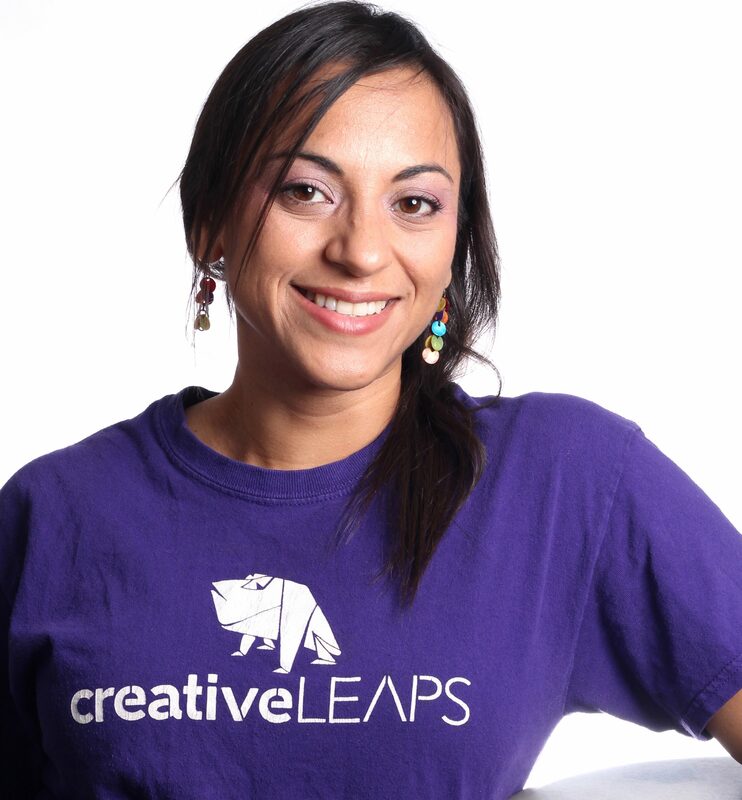 Leymis was the first in the state to receive a certificate in “Dance and Healing” from the University of Florida and has a Master of Fine Arts in Performance/Choreography from Florida State University. 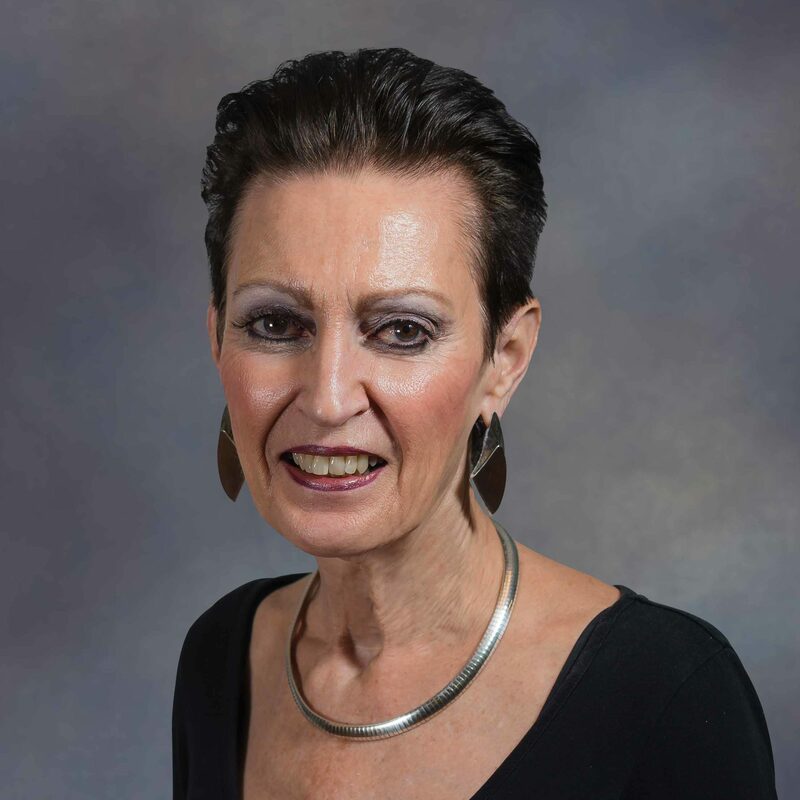 Her deep love for education and community building continues as she advocates for dance as a Teaching Artist through the Sarasota Arts Council, Manatee Arts Council and the Van Wezel Performing Arts Center. Ms. Wilmott is a certified “Dance for PD” instructor trained by the Mark Morris Dance Group, Brooklyn, NY. A fun and interactive ability based exercise class that can be performed standing or sitting in a chair. As an Exercise Specialist, Kathi has worked with physicians, surgeons and physical therapists to create exercise programs for individuals with specific medical conditions post-surgery and post-rehabilitation. Kathi has been teaching Parkinson fitness classes for 15 years. As a fitness instructor, Kathi connects with her participants on a personal level. She recognizes physical limitations and encourages the social supportive aspects of her fitness programs, acknowledging that in addition to the physical benefits of exercise; support, socialization and a sense of fun and play are all important contributors to overall health and well-being. Meditation, breathing and flexibility chair exercises with relaxing aroma therapy to unite the body and mind for a sense of well-being. Terrie is passionate about the practice of yoga and its potential to help people in all stages of life offering special benefits for the elderly and those living with physical limitations. Yoga enables one to balance mind and body to optimize performance in all areas of life making it a perfect fit for those diagnosed with Parkinson’s disease. Terrie loves to share the yoga experience with those facing physical and cognitive challenges showing that by connecting the mind, body and breath the spirit will endure. Live music making using assorted hand held instruments for improved motor function, cognitive function, speech and language, social and emotional health. Marion obtained her Master’s Degree in Neurologic Music Therapy at Colorado State University. She is a multi-instrumentalist trained as a mezzo-soprano with clinical and performance proficiency on guitar, violin, piano, viola, bass, percussion and various world instruments. Her research has involved investigating the effects of rhythmic seated exercises on Parkinson’s gait parameters. Born in Venezuela, Marion is fluent in Spanish and English and has learned French at the conversational level. She continues to perform throughout the Tampa area in various ensembles and bands ranging from a classical string ensemble, to Japanese drumming, to her own eclectic band, to name a few. Marian has extensive training, education and experience developing programs that maximize the benefits of the arts in all areas of learning, development and rehabilitation, taking into account individual differences and unleashing the creative being that resides within each person. Speech and swallowing exercises for improved vocal range, volume, rate of speech, intelligibility and breathe support. Chris completed his Music Therapy education at St. Mary of the Woods College in Indiana. 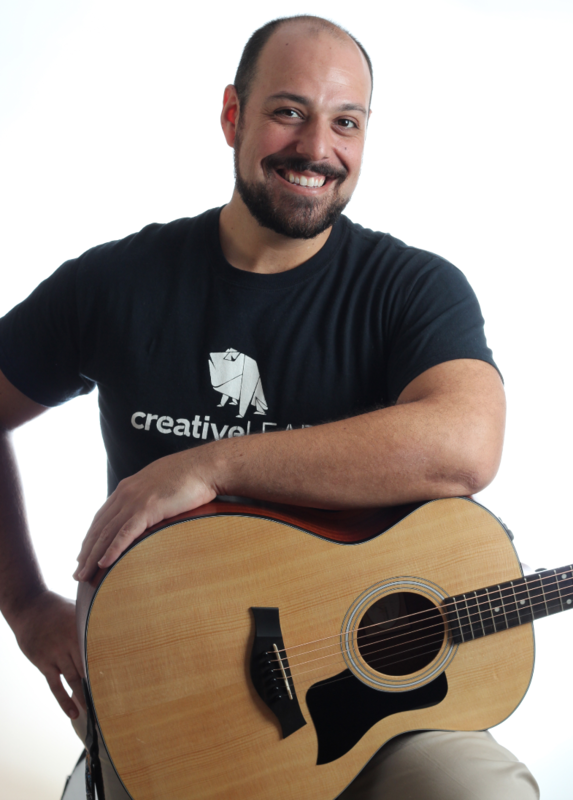 He began his undergraduate pre-med studies at the University of South Florida but quickly realized that he could not give up his passion for music so instead, he completed his Bachelor’s and Master’s degrees in Vocal Performance at USF’s School of Music, focusing on Opera and Classical Crossover. He has performed internationally and continues to perform regularly for the St. Petersburg Opera Company and St. Mary Lady of Grace Church. He also performs in other ensembles and as a solo performer. Chris has been working with various clinical populations including individuals with Parkinson’s disease, children with exceptional needs and adults with mental health diagnoses. He is proficient in various musical instruments including the piano, guitar, ukulele, hand-percussion, trumpet and world instruments. A non-contact boxing inspired fitness program that anyone can participate in no matter what their age or condition. 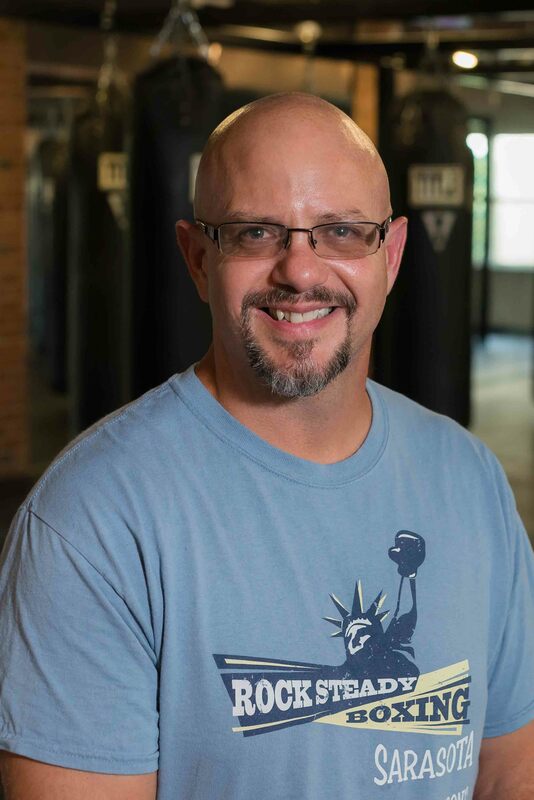 Kane is the owner and founder of Rock Steady Boxing-Sarasota. He has thirty-four years of boxing and martial arts experience. Various studies support that rigorous exercise emphasizing gross motor movement, balance, core strength, rhythm and hand-eye coordination improves range of motion, flexibility, posture, gait and the ability to perform activities of daily living. Studies at Cleveland Clinic suggest that forced exercise, such as boxing, are neuroprotective and may actually slow disease progression. Xuan, nominated for Best Female Dancer in Australia in 2009, has performed throughout Asia, Europe, Australia and the United States with Australian Dance Theater and Cloudgate 2. 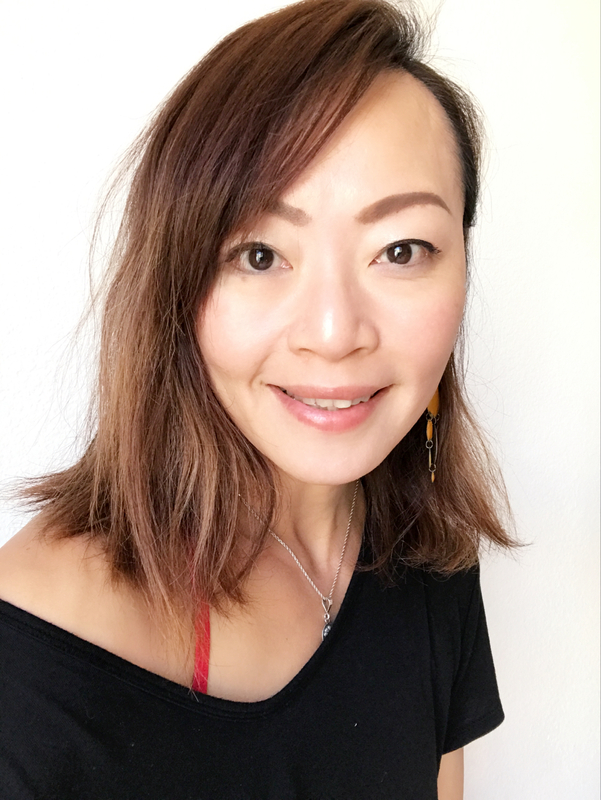 Previously Assistant Professor at the Taipei National University of Arts, she has danced with and choreographed for Sarasota Contemporary Dance since 2012. In 2013, Yang Dancigers co-choreoghraphed “Dreamfall” featuring music by NOW Ensemble with Leymis Bolanos-Wilmott. She has also danced as a soloist in Bolanos-Wilmott’s “Summer Days”, of which the Sarasota Herald Tribune wrote, “With…Dancigers’ total ownership of the characterization, it was stunning.” She was also a soloist in Gerri Houlihan’s “Every Little Movement”, of which the Bradenton Herald wrote, “A highlight on opening night was the long and unspeakably gorgeous solo by Xiao Xuan Yang Dancigers. If you appreciate dance at all, you find yourself wishing the solo would never end.” In 2017 she choreographed and performed the solo “Signal” for New Music New College, to music by Luciano Berio, with the Herald Tribune calling the performance “stunning…precise.” Dancigers is excited to return to Sarasota after being away in Californa for a year to continue her work with Sarasota Contemporary Dance and Parkinson Place. She has had the opportunity to assist and help build the Dance for Parkinson program along side Director of Sarasota Contemporary Dance, Leymis Bolanos Wilmott. Weekly fun and interactive motivational talks for patients and caregivers. Ongoing Direction, Motivation & Support for Parkinson Caregivers. 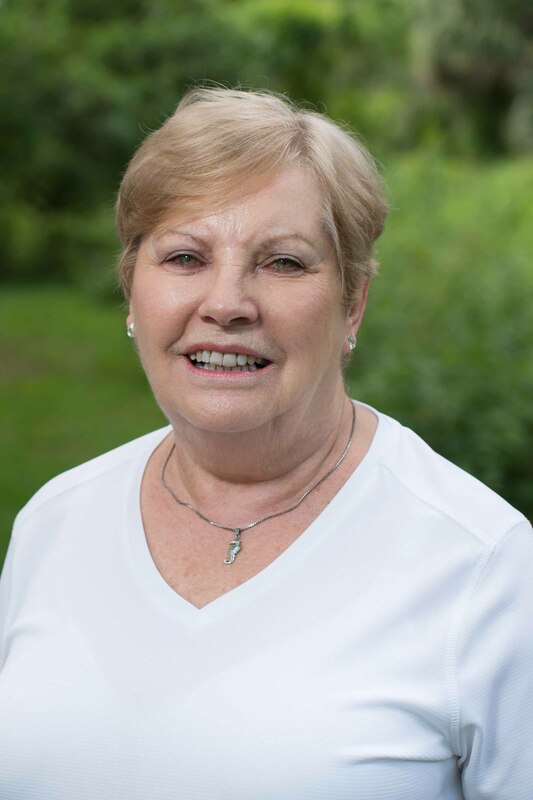 Marilyn Tait, a graduate of the Thomas Jefferson Hospital School of Nursing in Philadelphia, celebrates 50 years in healthcare marketing, management and program development. Specializing in Parkinson’s disease for over 20 years, she is an expert in meeting the physical and emotional needs of those living with overwhelming challenges. She is a noted Parkinson educator, motivator and advocate as well as a national speaker in the field. 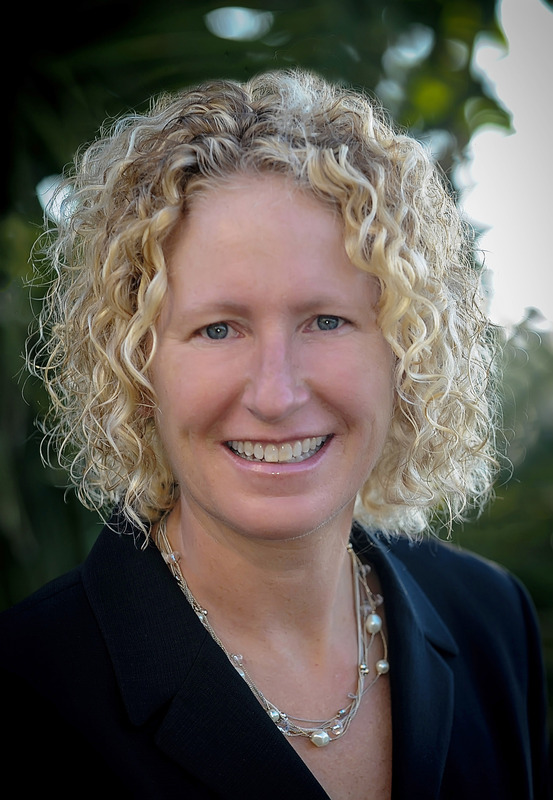 As Program Director she is responsible for the full scope of quality services provided at Parkinson Place, a 9,000 square foot multidisciplinary care center in Sarasota, Florida dedicated to improving the lives of those living with Parkinson’s disease. She is the driving force that makes Parkinson Place a home away from home for Parkinson patients, caregivers and families. Hali received her B.S. degree in Communication Disorders from the University of Georgia in 1994 and an M.S. degree in Speech-Language Pathology from the University of South Florida in 1996. Since then, Hali has gained extensive experience treating pediatric and adult patients. 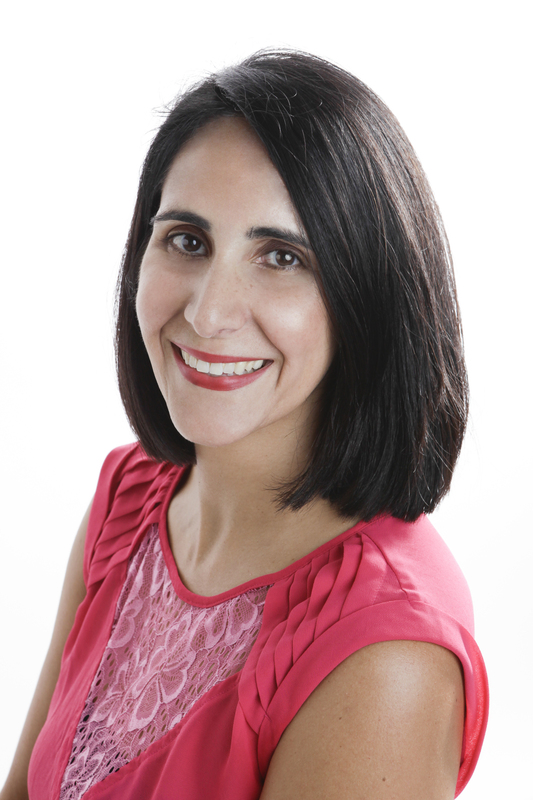 Her areas of expertise include apraxia, traumatic brain injury, cancer, stroke and progressive neurologic disease. Hali gained a love for Parkinson patients early in her career while hosting a Parkinson support group in a skilled nursing setting. 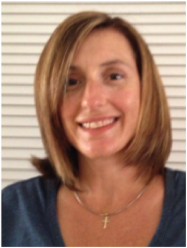 Currently, she shares her time providing speech therapy at HealthSouth Rehabilitation Hospital of Sarasota and as an in-home speech therapist under her private practice, Integrative Speech Services. In 2007, Hali became certified in VitalStim therapy for the treatment of oral and pharyngeal dysphagia. This innovative technology has proven to be effective for those suffering from swallowing difficulty. She is also trained in Complete Speech which utilizes visual and tactile feedback via computerized technology to address improper speech habits quickly and effectively. Personally and professionally, Hali feels a tremendous responsibility to her clients and their families. She is committed to helping people regain independence with speech, language, cognition, voice and swallowing.